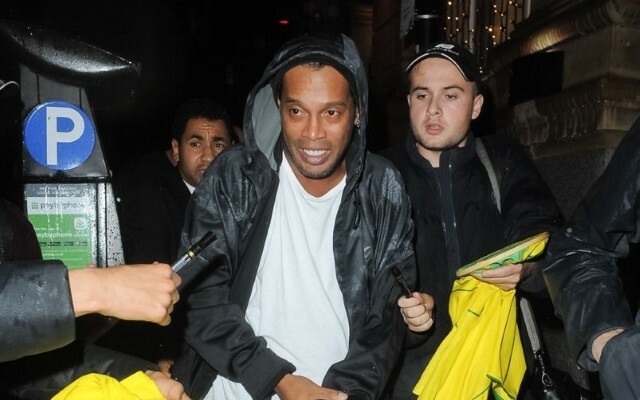 Barcelona and Brazil legend Ronaldinho has found himself in hot water after having his passport confiscated after a court found he had just £5 in his bank account. The 38-year-old, widely regarded as one of the greatest players of all time, looks to be in huge trouble as he owes £1.7million for environmental damage caused by one of his projects, according to the Metro. Ronaldinho and his brother were both involved in this project as they built some property without the required legal permission. It remains to be seen what lies in store next for the World Cup-winning forward, whose off-the-field activities have been something of a cause for concern in the past. Many feel Ronaldinho could probably have prolonged his career and achieved more with a better lifestyle, with his playing career fading out before his retirement was made official in January 2018. Ronaldinho’s reputation also took a hit this year after he endorsed far-right candidate Joao Bolsonaro in the Brazilian presidential election this year, as reported by the Daily Herald.